Historical and cultural account of the tiger, showing how the decline of its natural habitat and relentless pressure from poachers and farmers have turned a naturally retiring, solitary creature into an aggressive man-eating predator. 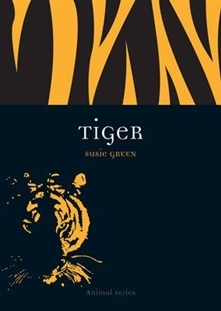 Green describes a variety of cultural contexts, from the White Tiger in Chinese Taoist mythology and the Chinese Zodiac, to Lord Siva in Indian Hindu mythology who is almost always pictured wearing a tiger skin. In the West, Bacchus, or Dionysos, god of wine and mystical ecstasy, was pictured riding a tiger, and tigers have been used by artists such as Salvador Dali to symbolize sexuality and desire.